Let's Hear It For Beer! So Much Great Beer. So Little Time. Here's the great list of some downtown Kalamazoo breweries (and a couple beer hotspots). Consider also a formal Walking Tour (or a private one through the professionals at West Michigan Beer Tours). Check out Discover Kalamazoo's Brew Pub Map (we usually keep printed versions on hand too), and don't forget our Map of Everything (also available in PDF here). Finally, you can also hire a car for a private driving tour! Bell's is the beer that put Kalamazoo on the beer map, and visitors come from everywhere to visit the Eccentric Cafe, where the nectar of the gods was first dispensed. While production brewing is now done at a large facility a few miles out of town, the original downtown location still brews too, and features music, culture, a great beer garden, and much more. Come stay at Kalamazoo's brewpub lodging headquarters, sample your favorite Bell's beers, and also special craft beers you can't get anywhere else (free tours Saturdays and Sundays). The General Store is here too with Bell's gear, home-brewing supplies and, of course, beer. Bell's is a Kalamazoo destination! Open daily. One of the newest brewpubs in Kalamazoo, and the closest to the Kalamazoo House (right around the corner), is Gonzo's BiggDogg Brewing. Just a block and a half from the B&B, Gonzo's opened in Fall 2013 in what was originally a new car dealership! Gonzo's has already become a popular pub with 10-12 original brews on tap, along with some food that Steve, Steph, and other guests find genuinely delicious: appetizers, burgers, sandwiches and pizzas top that list. Outdoor seating is available during the warm months. Open daily. Olde Peninsula is actually Kalamazoo's first brewpub---it opened way back in 1996. Perhaps best know as the place where our kids waited tables through high school and college (little humor), "OP"—as locals know it—offers 5 permanent drafts and a rotating menu of seasonal brews, and the interior features a great view of the brewing equipment behind glass. With advance reservations, you can schedule a tour and tasting event. This is a full restaurant with a wide-ranging menu, and has a full bar as well as the craft beers. Open daily. Rupert's opened in Fall 2013 in the site of the old Strutt, just a short walk from the Kalamazoo House—right across Stadium Drive from Kalamazoo College. A comfortable, rustic place with lots of wood, Rupert's has already earned a reputation for great beer, interesting music events, and the biggest (and calmest) dog you'll ever meet in a brew house! There's a bit of outdoor seating in nice weather. Food is mostly snacks, or you can order in whatever you want to eat. Open daily. Did you have a Shakespeare fishing rod as a kid? Well now you can enjoy over 40 beers on tap from some of the greatest breweries in the United States, at the place where those were made. You have a very good chance of meeting Steph and Steve there too—or Garrett, the kitchen and house manager, who plays percussion with local artists every Wednesday evening, and in a classic rock band on the 4th Saturday of the month). Shakespeare's is a true pub: Show up with your partner or a friend, or gather fifteen friends and pull some tables together to start sampling. Parking is on-site and the best in town, live music is featured Tuesday and Wednesday evenings (but you can still talk and hear), and a separate music venue below features a wide variety of acts. Hands down, Steve and Stephanie have had more family birthdays, meetings, and fun chats here than anywhere else, because it's spacious, flexible, friendly, and if you can't find a beer you like here, you're not trying. Arcadia just opened in May 2014 after moving its production facilities from Battle Creek to downtown Kalamazoo. The huge brewpub, on the banks of the Kalamazoo River, is a soaring brand new brick and glass building. Servers tend to tables and the bar for beer, and visitors get their own food from a large deli-style counter at the rear of the building featuring delicious barbecue, mac & cheese, and other goodies. A large outdoor seating area is on the riverside. It's less than a mile from the B&B, so most folks consider it walking distance---and there are plenty of other pubs to pop into to rest along the way! Closed Mondays. Located on the South Kalamazoo Mall right next door to the Kalamazoo State Theatre, Tibbs Brewing Company is the smallest brewpub in town but don't think it has to be big to be good! This nanobrewery's slogan is "Small Batches, Not Small Beers". Tibbs is open Wednesday through Sunday and it's often standing room only. A small list of food items complements the beer. Our favorite craft beer bars in Downtown Kalamazoo "Where Beer and the Stock Exchange collide". Where else does the price of the excellent draft beers fluctuate depending on who's ordering what in the bar? (The "exchange" runs 6pm to closing). Ranked by RateBeer.com as the No. 1 bar for craft beer in Michigan, the Kalamazoo Beer Exchange is open for lunch and dinner (closed Sundays) and has a full bar in addition to great beers. 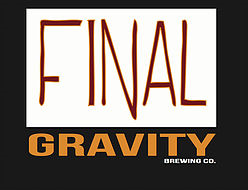 New in 2018, Final Gravity is yet another great brewery just a short walk from The Kalamazoo House, at 246 N. Burdick Street (Kalamazoo Mall) Kalamazoo, MI 49007. It's right behind the Kalamazoo Valley Museum. The father/son team of Kevin & Michael Christensen are behind the wonder that is Final Gravity Brewing Company in the small village of Decatur, Michigan--and now in the thriving "big" city of Kalamazoo! Located across Kalamazoo Avenue from Bell's Eccentric Cafe in the old Star Paper factory, the Old Dog Tavern is a comfortable pub where everybody soon knows your name. Don't go here to watch the game---there are noTV's. Just conversation and fun. And lots of music. Good list of beers. Outdoor seating and sometimes outdoor music. And ping pong. Open daily. On the Kalamazoo Mall, Central City Tap House is part of the Millenium restaurant group and offers up good food and an impressive list of great beers from Michigan breweries as well as from internationals. There's a full bar here too, but the Tap House loves good beer. Open daily. Recently opened just north of downtown Kalamazoo, Boatyard Brewing Co. is currently open Thursdays through Saturdays. It's a bit of a long walk - but just a short drive - from the Kalamazoo House B&B. Six brews on tap last we checked.